Going Paleo is hard enough for adults who have complete control over their own grocery budgets and gym schedules. But what about teenagers, or even college students still living with their parents? Is it even possible to stop eating junk food when it’s part of family dinner? There’s no denying that teenagers can benefit from Paleo just as much as anyone else. Plenty of teens have diet-related problems like acne, Irritable Bowel Syndrome, and autoimmune disorders. Nutrient needs are higher during adolescence than during any other stage of life, and adequate nutrition at this point can help stave off all kinds of problems down the line. And then there’s the problem of weight loss. Everyone agrees that the problem is serious – nearly 20% of American teenagers are overweight or obese – but trying to help teenagers find something that actually works in the long term is very hard. The good news: there’s some evidence that a Paleo-like diet might be easier to manage in the context of an actual teenager’s life than the typical low-fat, calorie-restricted “healthy” diets that study subjects usually get put on. And yes, it is possible to make it work – if not perfectly, then at least better than nothing. From a nutritional perspective, at least, teenagers are not adults. Growing at such a rapid pace demands more of everything: more calories, more vitamins, more minerals, more sleep…it’s a little bit like being a competitive athlete, only your “sport” is growing and you don’t get a choice about whether or not you want to play. Paleo nutrition is perfect for delivering all of those important nutrients. More specifically, the nutrients teenagers aren’t eating enough of include Folate (Vitamin B9), Vitamin E, calcium, magnesium, and fiber. Girls can expand that list to include Vitamin A, Vitamin B6, iron, and zinc. As well as providing important micronutrients, avocados are also a great source of healthy fats to fuel all those growth spurts. Bone-in canned fish (sardines or salmon): provide calcium and smaller amounts of the other minerals. Green vegetables: provide folate, fiber, Vitamin A, and magnesium. Avocados: provide Vitamin E, folate, B6, magnesium, and fiber. Grass-fed beef: provides iron, zinc, and B6. If you’re thinking about going Paleo as a teenager, also remember that Paleo is not a low-carb diet and anyone with increased energy demands generally does better with more carbs. Eat sweet potatoes, white potatoes (yes, white potatoes! ), plantains, bananas, and other starchy foods, especially if you play sports. But what if I’m trying to lose weight ? In that case, the ideal situation would be a negative or neutral calorie balance, accompanied by a nutrient sufficiency. Here again, Paleo really shines – loading up on nutrient-dense meat and vegetables helps deliver all the important vitamins and minerals while keeping your appetite under control so you can eat to hunger and still lose weight at a healthy pace. In fact, trying to lose weight as a teenager is even a little easier than losing weight as an adult. For one thing, there’s that lightning-fast metabolism. And for another, you’re still growing. 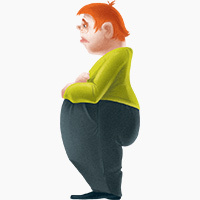 Adults need a negative calorie balance to lose weight, but for teenagers (especially younger teenagers), it’s often enough to just maintain weight and let your height catch up as your body composition improves. For example, if you’re a boy, you might start out at age 13 at 5’1 (about the median height) and 170 lbs. That’s over a healthy weight range unless you’re a really ripped 13-year-old, but if you can keep your weight the same while your height increases, by age 18 you’ll be 5’9 (again, on average) and 170 lbs, which is well within a healthy range. So if teenagers have all the biological cards in their favor, why does study after study struggle to show any weight-loss results? One word: environment. It’s hard to eat healthy when food isn’t always under your control (e.g. cafeterias, meals your parents cook, groceries your parents buy). From a social perspective, nobody wants to be the weirdo on the caveman diet. Junk food is available from gas stations, vending machines, and fast-food restaurants everywhere you look. Healthy food is harder to come by and often more expensive. So How Do I Actually Do This? Sticking to any kind of healthy eating plan is hard if you’re not totally in charge of the food environment in your own house. But if you’re worried about Paleo specifically, here’s a study that might put your mind to rest. The researchers compared two diets: a low-fat diet, and a low glycemic load diet (translation: low in refined carbs). Neither diet was restricted in calories. The low GL diet made it easier for the teenagers to participate in family meals without feeling deprived or awkward, or like they were being told what to do. They had fewer arguments with their parents over food in general and found the diet more pleasant to stick to. A low glycemic load diet isn’t exactly Paleo, but eating to hunger while avoiding refined carbohydrates is a big part of the Paleo approach to food, and it’s nice to know that it’s one of the easier eating styles to adopt in a family setting. 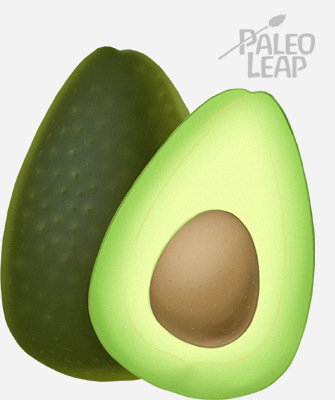 If you don’t know the basic rules of the Paleo game, you can look over them here. Once you’re clear on that, it’s time to get started. Making their food environment at home better (buying more fruits and vegetables and less processed junk food). Your parents might not be on board to start eating Paleo with you, but over time as they see your results, they might start being more open to the idea. Get involved in cooking and grocery shopping. Very few parents will turn down an offer to help them cook dinner – and if your dinner just so happens to be Paleo friendly, so much the better! At the very least, you’ll learn transferrable skills like using a knife and making a shopping list, and you can take those with you when you start cooking for yourself as an adult. Studies show that children’s requests during grocery shopping have an effect on what their parents buy. Most researchers focus on children demanding candy and junk food, but there’s no reason why asking for healthier food wouldn’t have the same effect. Try asking to buy one or two different kinds of vegetables for yourself, or maybe asking your parents to replace canola oil with olive. It can’t hurt, right? Look up easy recipes, especially for breakfast and lunch. Here are 10 to start with. Ask your parents to buy eggs instead of cereal for breakfast and learn a couple ways to cook them. Make some meatballs or burgers, pack them with carrot sticks or another vegetable, and you have a ready-made lunch. Even if you’re stuck eating pasta or pizza at family dinners, at least you can eat healthy food for 2/3 of the day – that’s better than nothing! Control your environment. For example, TV can be a huge threat to healthy eating. On average, teenagers ages 15-18 watch two and a half hours of TV every day, and 26% of the ads they see are for junk food. These ads can easily set off craving or subconsciously affect you even if you think you ignore them. Turn it off, or if there’s something you really want to watch, DVR it so you can skip the ads. Don’t let the perfect get in the way of the good. Even adults with all the money and control in the world slip up sometimes. It’s OK to go out for ice cream with your friends; eating healthy should never come at the cost of your social relationships. You don’t have to be perfect; you’re already doing yourself a huge favor just by doing your best. It’s not easy to go Paleo if you’re still living with your parents, but you can at least get part of the way there. Even if you can’t eliminate all the gut irritants, prioritizing nutrient-dense foods will at least give you the nutrients you need along with them – that’s a whole lot better than getting the gut irritants and no nutrients at all. And even if they aren’t thrilled at the initial idea, once your parents see how well it’s working for you, they might end up making Paleo a family affair.